Even though filling out all the paperwork and hunting for a solution to financial problems may seem like such a hassle, college has come a long way from its traditional methods. In the beginning, only those who could afford to shell out a large sum of pocket money were admitted. After education became a more prominent piece in the puzzle of prosperity, loans and grants entered into existence. Unfortunately, there was this ignored middle gap. Students were either rich enough to settle into the first category, or they were so poor their families could barely keep food on the table which made them eligible for the grants. The ignored group was the low income families that weren’t considered in poverty or a minority. As simple of a concept as it is, many students ignore them and the possibility of obtaining them. At its core, grants are free money. College grants offer free money for tuition, books, housing, and more that does not need to be repaid like a loan. Even better, grants are easier to obtain than loans for many reasons. The first is that they are based on income as opposed to credit score, which may inhibit the offer for a loan. The determining factor is income. If your income is considered low, not necessarily at the poverty level, you are qualified. However, your parent’s income is also taken into consideration, but do not let this be a discouragement. Even if your parents have a substantial income, you may still qualify for federal grants if you can prove that paying your tuition would be a financial hardship for them. Finally, because grants do not need to be repaid, a cosigner is not needed. This is ideal for students that do not have parents or guardians with stable credit. The most common federally funded sources of money are the Pell Grant and the Federal Supplemental Education Opportunity Grants. The federal grant program was designed to promote accessibility to postsecondary education for low income students. While most education institutions participate in the federal grant program, double check with your school before committing to it if tuition is a determining factor. The Free Application for Federal Student Aid (FAFSA) is your ticket to federal grants. It is managed by the Office of Federal Student Aid, which is a part of the Department of Higher Education, and it disburses approximately $80 billion in financial aid to about 14 million applicants per year. After filing a FAFSA, the student will receive a Student Aid Report (SAR) and the designated school will receive an Institutional Student Information Record (ISIR). Also, nearly all educational institutions also use the FAFSA to determine eligibility for their school’s individual financial aid awards. Many low income students need more than the federal grants can offer. This is when it becomes necessary to look for other options such as the minority grants and those offered by private organizations and companies. To improve your chances of being qualified, there are several tips to consider. Do not put all your eggs in one basket, so to speak. For as many low income grants that will accept you, just as many will reject you. Filling out several applications will increase your odds of getting accepted. Make it a goal to fill out as many low income grant forms as possible. Make sure you are honest on every application. When a program is freely giving a substantial amount of money, chances are that much of the information you provide will be double checked. If they uncover even a single lie, albeit small, it is likely that they will automatically disqualify your application even if you may have qualified otherwise. Find three or four references that are dependable and in a position of authority if possible. Teachers, volunteer organizers, pastors, and work managers are ideal candidates. Grant programs want their money to go to someone deserving but do not have ample time to get to know much about you. References can make the difference between otherwise identical applications. Also, the fact that you have a volunteer organizer or something similar solidifies the idea that you are active outside of academics which is another selling point when trying to win a low income grant. If you are not already involved in an activity that demonstrates commitment and drive, now is the time to start. Do not wait until last minute to start your research and applications. Beginning your junior year of high school, compile all the low income grants you even mildly qualify for. Make notes of the deadlines to apply. When it comes time to apply, keep a record of the grants to avoid confusion. When you are applying for grants, be careful not to have too much money sitting in your bank account. Those reviewing your application will likely mistake that the money you have saved up for months to pay for books or rent is the indicator of a high paying job. Removing the money from your account is not lying as long as you have honestly revealed you income and financial situations. Many states offer grants and financial aid programs to further the development and growth of colleges within their boundaries. In most cases, states provide grants for low income, minority, or students pursing an education in a field that is high in demand. Inquire at the institution you plan to attend; visiting the financial aid department will likely provide information regarding the state level grants they accept. Students that are Hispanic, African American, Native American, Asian, and more often qualify for low income grants offered specifically to minorities. Looking deep enough can even uncover grants for majority students if you are a certain percent Polish, German, Irish, etc. If your school needs to meet a quota for ethnicity, this will work to a minority’s great advantage. Just be prepared to have proof of your heritage. Unlike the FAFSA, there is no widespread application to receive grants from private organizations and companies, but by dedicating time to research, you can find many that suit your individual pursuits. For example, students entering college in the medical field can find grants specifically for nurses. Other grants focus less on academics and more on situations. One example is Coca Cola who offers grants to students with the honor of being the first in their families to attend college or come from a disadvantaged background. As sad as it is, there are many scams floating around the internet. Too many students have become victims of stolen identity due to a website that promised grants for low income students. The eager soon-to-be student than releases every bit of information necessary for the scam artist on the other side to ruin his credit. Make sure that you research each grant before offering out any vital information. I am looking to get a grant for college. And being how i live in a low-income household with one parent working and myself but i only work part-time, and there are 6 people living in my house. I would really appreciate it if you could help me somehow. My name is Jamie Gilcrest. I am a single parent with a minimum wage job and I am looking for a grant for my son to attend college. Please call or email me with any suggestions you may have 805-415-7547. I am a sophomore at Dillard University this year. I was recently informed that I have no/am not eligible for federal aid and I must take out a private loan for school. Every loan that I have applied for, I have been denied. I have no credit, and I do not have a cosigner. My mother has no job and my father passed away. I really need to get back into school. Do I have any other options? I can tell anyone who may read this post, Mrs. Conrads post is a big reason why people dont want to offer grants or assistance. Grammar and spelling are required to present yourself in an educated fashion. If you have been “accepted” to a college or “university” it would help for you to be able to at least spell properly. If you dont hold yourself to a higher standerd, no one else will either. I can appreciate your wanting to be a nurse as I am a paramedic. But… that being said if you dont spell and use correct puncuation your never going to get anywhere in life or nursing because you wont be taken seriously. Good luck to all. I’m trying to find a way to pay for college now.. I don’t want to get kicked out of school just because I can’t afford it.. Somebody please help me.. I really don’t know what else to do.. I need extra grant money to help me with living expenses while I am in school. I am trying to attend nursing school I really need a grant or scholarship. If you can help me email me please. Hi, I recentley started college with my husband. we are tired of working part time jobs so we are doing our best to earn our degrees. We hardly make enough combined to even get by let alone pay for gas and books. we would appreciate anything that can help us out. especially for gas because our school is about a hours drive from where we live and i drive a suburban. Thank you. I am a Freshman at the U of A and receive FASFA; however I am falling short 3000.00 and I don’t qualify for any loans. I have no credit, and I do not have a cosigner. My mother is a single mom going to school herself and my father has bad credit and is not in the picture. I don’t want to get kicked out of school. Do I have any other options? I am currently seekking help in paying for my education, both are my parents are disabled, and I have no credit. I have applied for FASFA. I really do need help I am making minimum wage and I was wondering what other options do I have. My Name is Josh and I have currently gone back to College and am going full time, my wife is looking at starting this winter. We are currently getting Finacial Aid but need a little more help in accomplishing our goals. We are looking for grants that may be able to help us to do this. Any information that could be given to us to help us further our dreams would be greatly appreciated. Hello, my name is Katherine Martinez. I am a current undergraduate student at Bergen Community College. I am majoring in Criminal Justice (CRJ) and minoring in Psychology (PSY). I need further assistance with my tuition fees for my college expenses and am also needing more assistance for when I transfer to John Jay College of Criminal Justice/The City University of New York. I’d gladly appreciate a scholarship or recommendations for what scholarships to apply and how. Hi my name is Sarah, I have been accepted to the University of Dubuque. I want to be a English teacher. But I don’t know if I’m going to get to go since I live with my grand parents,who live on social security and disability. I will be a first generation to go to college. 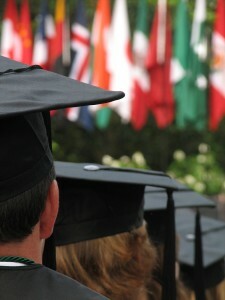 I will graduate May 2012. But there’s no way my grand parents can afford to send me to college so if I don’t get grants and scholoships I’m not going to be able to go. My grandma is so proud of me that I have been accepted at DU but I’m afraid it’s only going to be a drean. I do work part time at our public libary but that’s not going to be enough to send me to college. When my grand parents took us in seven years ago to keep us out of the system, we are abused kids. My grand parents had to re finance their home to build on bed rooms for me and my brother. So please if there is any way you can help me I would be greatfull. Hello everyone. I was wondering if there is any grants out there for disabled unemployed vets. I have signed up for the FAFSA and I am using my gi Bill that I paid into. But work is tough around here especially when you can barley bend over to tie your shoes. Any idea’s you have would be great. Thank you and enjoy your holidays. I am graduating in June from high school what are the grants are best for me Thank you. Hello everyone! I grew up in a family with four children, one older sister, an older brother and a twin sister. In third grade my dad obtained a job that demanded his presents in Saudi Arabia allowing us to see him just twice a year. After all of the terrorist attacks his job was deemed to be unsafe and our family called him back home, bringing on a huge income loss. Since then my father has had three major hip replacements. One of which gave him a deadly staff infection leaving him dependent on an IV for 3 months and many hospital stays, preventing him from being hired at any work place. As of now, our house is running soling on my father’s social security and mother’s income who is only able to work three days a week due to old age and arthritis. These past few years have been financially hard for my family, still paying off my older sibling’s student loans. My parents should be retiring but they are now in the process of filing bankruptcy and losing our home. As a result, my parent’s don’t qualify for any parent loans making it almost impossible to find money for my soon to be $130,000 dental hygiene bill. Likewise, as a young college scholar with little credit I do not qualify for many student loans either. Even with financial aid, the financial burden is still abundant to what we can afford. Without any scholarships, my dental hygiene pursuits cannot be completed at USC. My email is tammybrokaw@hotmail.com if you know of any scholarships that could help! im currently unemployed, single mother and currently in college, i have fasfa but with the price of books and classes i can afford things. Hi.. My name is Senica Daychild. I’am currently a student at an community colege and am having problems with my financial aid and books. I have no income and can’t apply ofr student loans. I desperately need some advice for the right grants or loans. I have children(5) and my husband is in college to at Wyo Tech. I just need some help trying to get the money for my college fees. please help!! my name is Amanda, I am a 23 year old, newly single mother. I am a survivor of Domestic Violence, and currently homeless. I am enrolled to go back to school in the fall and I am looking for grants that will help me cover some of my living expenses in addition to tuition costs. I have been doing a lot of searches for grants and I feel like I am chasing my tail. Any help you might give me would be greatly appreciated. My name is Laura Anderson. I am 20yrs old and am married with no children. My husband and I recently moved back to my hometown from Portland, Oregon and both of us are living with my parents and are un-employed. Ive wanted to go to college to become a Veterinary Tech since I was little, but there is no way that we will be able to afford it in our position. I wanted to see if there were any grants that would make it possible for me to go to college. I would be the first person in my entire family to go to college and really appreciate any help! I just wanted to apply this grant funding so that i could pay to a USA home study school called ” Penn Foster College in USA. hi, i am a 22 years old and im in my first year of college i live in a low income appartment with no job i really need money to pay for things for school and help with my liveing expences i want to become a x-ray tech and i live in florida please help. I’ve always wanted to attend the University of Oregon. My parent’s income is too low for me to attend any college at all. It would be so much appriciated! I’m a senior this year graduating from a overpopulated high school in Houston, TX. I’ve been accepted to Boise State University and wish to further my education in business and photography. My mother is on disability and unable to pay my travel expenses. I would really appreciate any assistance I receive from you. I am desperately seeking funds to help my daughter stay in school at James Madison University. My husband is unemployed. I am cleaning houses, assisting elderly swimmers and part time with real estate company. I can not continue to help my daughter if Iwe can’t get help from others. She is 3.0 undergraduate in the school of Hotel hospitality management. She also works, Chairs an event organization and walks to everything. We need help. Aloha, My name is Michael Kauwe and I’m attending University of Phoenix online classes. I’m currently unemployed and is struggling in life when it comes to financial. The reason I’m struggling in financial is because of my dad health. He need to be assisted 24 hours and that is why I’m his caretaker. I’m trying to get my bachelor degree right now, but don’t have the money to cover up the left over that the financial aid could cover. Please feel free to contact me through email. I am a current graduate student taking online courses online for a Psy D in Clinical Psychology. I am in my residency year which the school requires it to be paid out of pocket. I have a past due balance with the school for the first time due to having to pay for the residency costs out of pocket. I am inquiring about applying for a grant to see if I am eligible to receive some money. The school is telling me that I have to pay $6900 towards my $8900 past due amt. before I can schedule for classes in a wk. or complete residency in June of 2012. I do not have good credit and unfortunately, have no co-signer available to apply for a loan to help. I’m jeniffer married from kenya but in Uganda after my studies in undergraduate still trying to fulfill my dream of doing masters.Please lets God touch you this Easter so that i may be able to go back to school or college.I graduated a year ago but i wanted to continue with masters but money is a problem please help and God would add for you. I am a 18 year old student getting ready to transfer in to college once i graduate high school and I am looking for Scholarships and Grants to help me pay for school I am from a single parent home and unfortunately my mother cant afford to send me to college. I am the first in my family to graduate High School on time and will be the first to go to college if I am able to pay for my education and that’s where the Scholarships and Grants will come in handy to help me pursue the career I am interested in… if you would like to be the helping hand to success you can contact me at chinadoll.tmv1993@gmail.com…. Please and thank you for your help it will be very much appreciated if you will invest in my future! Hi. I’m a sophomore at Humboldt State and will be going into my 3rd year in the fall. For half of my life, I have been working at the same job, but it hasn’t been enough. My parents have been supporting me through college since I have no way of doing so. But in less than a month, my dad will be retiring from his pastoral job in Berkeley. This is devastating because my mom does not make any money. There will be no income from my parents. They have to rent out our house of 17 years (I have a lot of memories there and feel myself breaking because of this). Having no job, I am forced with two options. It is incredibly hard for me to make them while approaching exams at the end of the term. I either do what my parents don’t want me to do which is take out loans and debt all in the same or live back at home and live with family members while going to a community college. The one problem with this is that the Wildlife classes I need to take are at Humboldt. My heart yearns to return back to Humboldt or at least stay in the area and attend College of the Redwoods. I can’t do this without scholarships. Somebody please help me! I’m on the end of my rope and don’t know what to do. Grateful to anyone who reads this. I would love to go to college and make something of myself. I’m getting close to graduating highschool. I have a low income and work a part time job. I’ve lived and have been supporting myself since I was 17just years old my parents had never put money away for me to go to college so I’m trying to do it myself. I would love to get as much help as I can! Hi, I really need help. I really want to go to the college of my dreams but I’m off $300. I can’t afford it but I don’t want to go to a community college. Please help me. I really want to go to this college. Please contact me at yshhstne325@gmail.com. Please and thank you. I will tell you more about why I can’t afford it – I’m desperate. Hi guys if somebody can help me to go to college will be wonderful, I really need to go to be somebody, to get my own stuff, to be a better person. But I don’t have the money, all college are to expensive and my mom is disable,that the only income we have.I’m really need about 20,000 to make my bachelor degree in science,I don’t want to go to a community college,I want to go to college and when I finish maybe make a militar carrer in the air force.I don’t want to depend in the future from welfare or the goverment, I want work and have my own stuff by myself. hello,i will really love to attend Indiana University Of Pennsylvania In the fall but i live in a low incoming house hold.i have most of my money for the fall semester of 2012 but im in so much need to have money for the IUP summer program. the program is not mandatory however if i do not complete the summer program i will not be able to have on campus hosuing my freshman year and ALL FRESHMAN must live on campus. now the program cost 4,045 dollars and i have received my award letter but it has loans on it and i do not want to take out any loans so can someone PLEASE contact me before the summer of July 9,2012 (thats when the summer program begins). I am looking to get a grant for college. I really need this, because of how i live in a low-income household with two parents, one working and myself; however I am unemployed, and there are 4 people living in my house. I would really appreciate it if you could help me somehow. All things are possible through our Lord. I’m a female of 55 yrs. of age who’s trying desperately to turn my life around through education. I so badly need a grant and quick so i can stay afloat to continue on my path of higher learning. Someday I can only hope at this point that i will be able to help others with their life struggles. I’m begging for help and desperately need information about Grants available to me. I also have a brain disorder which challenges me from time to time, but my disability will not stop me from achieveing my ultimate goal of a Master’s in Science specializing in Medical research. Hi there, my name is Candice and I really want to get back into school to become a vet tech, but cannot afford it. I am finding it nearly impossible to find a better job than what I have now. Currently I am making about 50 dollars a week, definitely not enough to afford college. A grant would help me so much both short term and long term. Thank you for the consideration. I am a single father with a minimum wage job who is attending school to get a better job. I need extra money for a computer and to help with bills. Please contact me with any useful information u may have. I am planning to go to collage for an advanced welding program (two year)….and it would be fantastic if there would be a way for you to help me find grant money to get my gear that i’m going to need, not to mention my living expences. I am about as low income as you can get. I’m currently collecting unemployment and that is running out soon, which is’nt much to beging with. I am also half Mexican & half Irish, so I must fall under some kind of grant program. If you could help me out that would be great! Hi. My name is Cathy. I am currently going to be a Senior in Nursing school. I am helping my daughter raise her twin sons that are both special needs. One has cerebral palsy and the other is severely autistic. I currently do not work , school and the children keep me very busy. I have used up all of my student loan money attending school and have found myself 13500 short of finishing my college education. I am a hard worker and family oriented, but not sure how I can possibly come up with the funds to finish. Hi my name is Sierra. Both of my parents have very low income and are considered as poor in the economy. Being only 17 years old its hard for me to find a job beacuse people want to hire someone who has expierience. Due to lack of money im scared i will not be able to fulfill my dream of getting a bachelor degree in nursing as i plan. I would greatly appriciate any help i could get so that i can further my self and give back to the community. Hi my name is Stephanie proctor. I’m a teacher assistant and full time college student. I cannot afford to pay 100% for my college At CSU-ci. It costs almost 4,000 each semester to be full time. There’s no way to pay it full before school starts which is required. I live on my own and theres another bills needs to be paid for. Your grant would help me to continue to be full time student and achieve higher GPA to be able to received more financial aid from csuci but this grant will help me to prove the university that I deserve financial aid from them and complete my bachelors in education liberal studies. Hi, My name is Courtney Stocking. I am a full-time college student at Columbia College Chicago and I cant afford to go there anymore because my mother just got turned down for a loan that i really really need to attend this semester. She is a single mother in school also trying to make ends meet since my father doesn’t want to be in my life. I’m going to school to major in Musical Theater and i plan on being very successful at it if i can get a scholarship. Any little bit will help. Please help me and my mother out because she doesn’t even know if she can afford to go to school either. I will be going to LSU Baton Rouge in the fall. My father who committed suicide when I was one served in vietnam in ’69-’71as a marine. He then served as a flight surgeon for the air force. My mother lost her job and makes almost nothing cutting hair. We were almost evicted this month. My older brother is in a coma in a nursing home here in Louisiana. I’m excited about school and have been working in the oil fields here in louisiana. Any grants we could apply for would help alot. I have many friends, am very active in drama and have kept a spiritual, positive attitude. Thanks. I meant my mom has no job as of now. My name is Jasmine Lucas. I am a 19 year old full-time student at Norther Arizona University and struggling to find the funds to return for my sophomore year at the end of next month. My mother is the bread winner in the house but we still lie under the poverty threshold and being the first in my family to attend a university, I must proceed to find the funds on my own. I really need help with finding the funds to return. There are 6 of us in the home when I am home from school. Both of my parents work but it is still not enough. Please help in anyway. I am a low income student going to Georgia Gwinnett College full time. I suppose to be returning in Fall for my sophomore year but I can’t afford to go. So if you can will please find someway to help me. Thanking you in advance! My Name is Liz Koenig, I am 24 year old, part time worker who graduated college in 2009 and have been looking for full time work ever since. I have also been trying to advance my career by going back to school but because I work part time I am not able to pay for my classes. I am looking for any assistance that there may be so that I can further my chances in a promising career. Thanks you. Hi my name is Margaret McDermott and I am 19, will be 20 in 6 days and I work full time at a carwash. I live with my dad and he has NO JOB and he told me that he will not help me pay for college! I pay rent each month along with personal bills to live here. I stsrt school Aug 27, Im looking for money to help pay off my school. Please Help Me With Grants! Hello Iam looking for grants and scholarships for this semester I need about 5,000 dollars to pay for the rest of my tuition. I am a dependent student and I live with my grandmother who can’t help me. Please help me ! Hi. I am looking for aid. I’m 18 years old and the first of my family to graduate high school. My has a minimum wage job and is taking care of four girls all alone. She’s in a shelter. My dad died before I was born. I have a job, but that won’t cover anything. I will be the first to attend a University, but without aid I’ll have to skip out on college. I am looking to finish paying for some of my tutition my mother is a single parent and struggling. Can you help me find something. ima african american college student from philadelphia. I was raised low income family. I know you have heard this millions of times but i desperately want to make something out of myself. If theres anybody that reads this even by accident im asking for your help.Im asking for a chance. I am a striving young african american student at Talladega College trying to pursue my goals in life. I have no family help none what so ever. Im in need of extra funding to pay for books etc. I have already taken out loans and the max of the loans. I still have a balance an this semester or any semester, I wont be able to pay for any of my books. I really need help with paying gor school and books and supplies.please HELP ME WITH getting the grant oney of any sort of money. Hi, I am currently enrolled at EMPIRE BEAUTY SCHOOL OF STATE COLLEGE, PA! PSU. I started July 1st. Fasfa has helped me pay for my tuition, but due to financial issues at home, I am struggling insanely with 2 young kids as a teen mother trying to further my life with cosmetology, and be able to provide for them. I am asking for help for school expenses, transportation expenses, child care expenses, food expenses, etc. It all just adds up to be too much 🙁 And the last thing I want to EVER happen is not be able to complete my schooling due to money. If theres anyone or anything out there to help me better my life for me and my kids please PLEASE e-mail me at crissycouturiaux@gmail.com or call me 8144967654 ! Please and Thank you for your time. I will continue to pray for something good to come my way. I am a single,disable father with a daughter in college for her second year and one in high school. Our income is below low income. No assistance from the other parent. Is there any grants out there for a single father to assist with making sure his child has a college education? Thanks for reading this and God Bless ALL…..
Hello. My name is Eleni. I live on my own in California. I have a part time job but with all the bills and rent that are coming through the mail, I dont think i can finish school. Im asking for your help if posiible. Thanks. I would really appreciated. Hello people my name is Angela Clements and i am a single parent of 4 boys. One of my sons just graduated from high school in June of this year and he is trying to go to culinary school, he will be going in as a sophomore because he took classes while he was in high school. being a single parent and a minimum wage job its so hard to help him start to school. if any one know of anything that i could do a donation or even where i could get scholarships or grants. We have already signed up for financial aide but that was still not enough. I would love for him to fulfill his dream. Im asking for anyones help. He is trying to get the money to start which is in less than a month. you can email me at nann6782003 with any details or even help. thanks. Only serious people please contact me. I don’t need anymore disappointments. Hello, I am currently in college right now. I pay for everything myself with no help from my family by working a part-time job. With rent and all the bills coming in now I am not sure how much longer I will be able to be in school. If there is anyway you could help me out, it would be greatly appreciated! My name is Emmett Cortez Rogers Im 18 yrs old the last of five children and the First to graduate high school,But I do not want it to end there I need a grant so I could continue to achieve my goals I want to be in the music industry! I want to be somebody I have worked to hard for my dreams to end now my dad has been in and out of prison all of my life my mom I love with all my heart she is an alcoholic I currently stay with my sister her husband and there two children I Don’t want to be another statistic I need this despratley please help me Im Hispanic Im creative Im not into sports! I gave up on school for a while got into drugs went down the wrong road my sister believes in me I turned down the wrong road after my older sister committed suicide but I have come to the realization that I want to rise above and Financially my sister whom I live with does not have the money to help me with college with her son my nephew graduating next year money is tight please choose me I would be so grateful thank you for taking the time to read my story! hi, my name is shaqkilla carter I am a senior in high school with big dreams and goals but is not finacialy able to pay for anything that i need in order to go to college. I do not have a job neither do my mother or father. i am the thrid child of five siblings and a nephew. me and my family been on housing for a while now. my mother does not have a job and my father is disable so we have been struggling for a long time now and it would mean alot to me and my family for me to be the first child to get out and go to college and make something of myself without financial issues. thanks for reading my requests hope to hear from you thanks for your time. My name is Sarah Mayernik and I will be moving to a new city alone and am looking to find out what kind of financial aid I can get so that I can register for classes at my new school. I am 21 years old with no children or husband. I will be alone. I am having trouble filling out my FAFSA due to the fact that it says my information has to be based off of my tax info from 2011. I have no clue about taxes and etc. So I am having issues with filling out a current FAFSA. Thank you. I hope to hear from you soon. Hello, my name is Nate Manthei. I am currently a struggling freshman in college because I did not receive financial assistance even though I applied for many scholarships and grants. My parents are divorced and my father does not assist with bringing in an income. I live with my mother and step-father. My mother works for The Home Depot in kitchen and bath and my step-father is a plumber. We have a low income household and I could really use any help that my readers would be willing to give. Hello, i am an independent college student currently attending a community college. I am looking for scholarships that help students who are wards of the state. Both of my parents passed away before the age of 12 due to disease causes and i was place under guardianship.I have been on my own since 18 and decided i want to go to school for sociology but, i do not have the funding to go full time. I am over 21 and i pay for all of my living experiences. I wish to get a degree to advance me in job oppurtunities. Im currently struggling and wish i had some assistance for my college funding. I am reaching out for help and would love to apply for a your scholarship. I am trying to readmit to school and an outstanding balance of $1,850 is preventing me from continuing my education. I have exhausted every option and with currently being on unemployment it just makes matters only that much more difficult. I really hope you can help. I am currently a full time student in high school and I am about to graduate! I have high honors and want to become a doctor! I have a part time job and manage to fit some volunterring in. My mother is a single parent and I have three siblings at home. I am in desperate need of some assistance to get me on the right track and help me work towards my dream in becoming a doctor. If there is anything I can do to recieve some assitance please let me know! Thank you! I am A Aftrican American male that is potentially one summer worth of credits away from being the first person in my parents 5 children to graduate from a 4 year University. I am 25 years old and I almost gave up after 4 years but I am willing to complete the final few credits needed to graduate but I am deeply in debt from my previous loan and can not afford to pay for all of the classes needed out of pocket. I am only about 1000 dollars shy of my fees needed to take and complete my degree requirements if you could help in any way I would appreciate it dearly. I really want to go to college but I have a bill at another college and they won’t release my transcript to me until I pay it off. I just wanted to know if there were any assistance out there that could help me. I am surfing tge internet for grants to help me re enroll in school for march 2013. I currently owe a balance of about 4 grand. I haveabeensaving up and only hace about half the amount needed to attend class. Im a single parent of 3 and on Unemployment if thee is anyone or any organization in which could help me please contact me! I only jave 6 months left of school and in which I will be able to staet my career as an Lpn. Contact me at kimmack85@gmail.com thank you!!! We all need grants. We should all pray for grants. God has given me a chance to go to school. We can’t let money stop us. I am twenty three and living with and helping to take care of my elderly grandmother. Right now, I am trying to find money to help pay for the 2013 Spring quarter of college. I tried filling out the FAFSA but they kept asking for my parent’s tax information, but really my parents do not have the money to help me and they won’t allow me to do it based on my own income since I am not twenty four. I do not make enough money as I am only working part time right now and am looking for a better job but have not had any luck yet.I have also applied for a couple other scholarships but have heard nothing back. I would really appreciate any help or advice that anyone could give me. Email would be the best way to reach me. AshleyErwin313@yahoo.com Thank you very much. Hi my name is Alyssa, I am a senior in high school and am in need of scholarships and grants. My dad said if I don’t recieve full tuition I will not be able to go to college because he has “more important” things to pay for. My grades slipped my sophmore and jumior year due to me working and taking care of my younger sister because my mother is on drugs so I havent recieve any outside scholarships, only financial aid and I was offered loans but not many. So basically all we live off of is a part-time cashier and a part-time bartender’s pay. I really want to attend college and reach my goal of becoming a Pediatrician. Please contact me at alyssa.mcghee.cssm@gmail.com Thank You for your time! Hi im jean-pierre cook. I graduate school last year and my dreams is to be an actor one day, unfortunatly my mom cant afford to send me to a drama school cause she is a single parent and have to provide for the householding needs.. I really do want to make a sucsess of my life and looking forward to built a stable life. If anyone can please help me to make my dreams comes true I would sincerely appreciate it. Hi my name is Pauline. I currently live with mother and brother. We all have jobs but we are part time. What we make is made for bills. I would love to go college, is there any grants out there help me? When i was two years old, my parents divorced. I have been living with only my dad for about 4 years now. I just recently graduated high school. I grew up with depression due to the divorce. I’ve never had a functional family. Now is my chance to fix my life into what i want it to be. I’ve been an artist all my life- ever since i could hold a pencil. I’ve been accepted to Southern Illinois University Carbondale. However, my high GPA and ACT score of 25 did not get me enough financial aid. if i were to go to this school i would accumulate too much debt. I want to change the world with my art, but i need a little help. My dream is being a RN. I have no income and have not been able to find a job. I’m a single parent that wants to better myself as we’ll as for my kids. I really need all the grants I can get to help me through the RN program or will not be able to go. I would greatly appreciate any grants I could get to help me with my dream… Please!!!! hi, i’m lexi and i’m in the 8th grade. My mom and dad told me that its never too early to start thinking about college, but when i started thinking, i ran onto a problem. We are a low income family and can’t afford college or to even start a fund. I’m a very good student and athlete and i thought i could qualify for a grant. I really hope someone can help me because college is my dream! Hi, My name is Meissa Hawk. I am writing about my siter, Amber, who is in need of a little somethig extra to help her survive while going to school. She moved about 4 months ago to Seattle. All she wanted to do was go to school. Now that she finally got there with her 3 year old she is having a very hard time. Her job is not giving her enough hours and she can not afford to pay rent or feed her daugter. She is struggling so bad. Our family is sending her all the money we can, but we too cannot afford to keep doing so. She wants to give up but doesnt want to ruin everything she has worked for. I want to see her do well because this is all she has ever wanted. She had to pawn a lot of her items to live these past few months. PLEASE HELP HER REACH HER DREAMS! Hello, my named is Elizabeth Martinez and i am in 12th grade , i don’t have a home and i’m by myself. I want to attend college but i don’t live with my parents and my income for the month is really low,i actually have an income of $350-$400 a month and i really want to go to college. I know i can’t afford college and i really want to go for my bachelors degree. I am hispanic, i do not speak fluent english but i know the basics to be able to communicate with others properly. I’ve lived in the U.S. for about 3 years and my current GPA is a 4.0 at RSBA (Rising stars business academy, i also want to enroll in the marine corp but first i want to get my bachelors degree so i can become an officer in the marines. I would really appreciate it if someone could help me find a way that i can get some kind help with my situation so that i can get started with my life dreams.Thank you for your reading my message and i hope that someone could give me the necessary helping hand to get my financial aid or scholarship. I am 56 years old and finally went to school and finished high school. I graduated in may and now want to go to school and become a nurse. However, I really cannot afford college. Anyone know of any grants for women over 50 interested in pursuing a higher education? I have so much to say, but don’t know where to start. I could start with my childhood where my parents were drug addicts. Perhaps I could start with my pre-teen years, the years when I changed my mother’s diapers at age 10 and pushed her around in her wheelchair. Maybe you’d like to know more about my father’s love for our family, and how he gave up his successful career to raise four children and take care of his wife with multiple sclerosis. I could start with the years I remember most, my teenage years. These years my mother died and my father became an alcoholic. Instead of resorting to alcohol myself, which my entire family did, I hid in my room and studied. Three years after my mother died, my father’s addiction was still dominating his life to the point that he attempted suicide three times. In his 3rd attempt he succeeded. Here I sit at age 21, one year after my father’s death I’m in seek of help. My younger brother, John and I need help financially. Everyday is a struggle between bills and staying hopeful. We don’t have much, but we have each other. The one phrase that keeps us motivated is “our past may define who we are, but it does not limit us.” Any help given to us would make the world of difference. Hi, my name is Lawrence im in my 3rd in pursuit of business degree. For most of my academic career my grandparents have been the source of EFC but most recently aid has been scarce and I recently become unemployed and my rent has now gone up to $700+ a month; so unless Im able to find a significant amount of aid I will have to take a SEMESTER or TWO OFF! Going into my 4th year only 28 credit hours( 2 semesters) away from completing my major and minor; right i’m in search of any and all aid that applies or could be assigned to me as it would be more than very much appreciated for this coming fall. My major is Business Administration. I don’t have enough money to pay for housing for school. I’m 20 years old and currently homeless. Being able to pay for my living expenses will be a blessing. Please email me if you interested in helping me. Hi my name Rosa, I am a striving 32 year old mom. Looking to finish college. I have supported my family time to time and it is time for me to go back into college. I would love to finish getting a a Phyical therphy Associates degree. With this grant I feel would help me a long way. I’m a brilliant student. First generation, lives in a Single parent home. I have four other siblings and my mother makes less than $180 a week or sometimes two. I really want to attend college to take my family off poverty. I want to make my mother proud. I’m certain that I want to become a biochemist (medical doctor) CAN SOMEONE PLEASE HELP ME? My friend is going through a difficult time right now his father just had a major medical emergency that has made him mildly disabled and the step mom does not work therfore my friend who is an american citizen believes there is no real help for him. I was saying he should claim independence but he is not yet 24, and even though he has been a student for 2 years in state university he is starting to believe he needs to quit school. Please is there anything like a grant or a financial aid fund that can help him? I really want to help him. I am looking for grants so that I can finish up my degree in Hotel and Restaurant management. I am supporting a disable spouse and two teenage boys. I have just reached my limits on government loans and grants and need to find other finances to finish up my degree. hello my name is jamal powns i grew up in a low income family in the projects. I’m having trouble getting money for college, i was recently accepted to Clark Atlanta University and i dont have the financial stability to attend. financial aid have covered 15000 dollars of tution which is 19000. i have tired applying for loans but due to my families finance problems i was denied. i hurts me so much to know i finally have the opportunity to get out of the place i called home and to make a difference. please grant me with the ability to be able to live my lifetime dream of not being the static of my kind. I am a 19 year old, Sri Lankan student in Advance Level class and sitting for the exam in 2014 in Maths subjects. I have passed the lot of Examinations, and I’m in the senior prefect board also. While doing Extra activities I’m dedicating on my studies as well. In Sri Lanka we need to seek for extra education given by private classes if you want to get through to the University. My parents are very poor and I am seeking for a financial support from you. Hope your king heart will listen to my words. Hello. My name is Andrew and I come from a broken home. I suffer from depression and attention deficit disorder (add) as I was born with cerebral palsy. I managed for the last 7 years to go to school part-time and have received a 3.1 GPA. I have been accepted to Buffalo State College and I have received Federal Loan Assistance plus a Pell Grant & Tap award. I am short funds to pay for my books, partial housing and the required health insurance. The total needed is $3.300. I have no one to co-sign on a loan for me and school starts in 4 weeks. Can you please give me direction where I can go to get the remaining funds needed? I would greatly appreciate it. My name is Rainie Gordon and I am 18 years old. In the fall I plan to attend Winthrop University located in Rock Hill, SC. I am the second person in my family to go to college. Neither one of parents attended college. So that’s why furthering my education is important to me. We all know college is very expensive! I’ve reached the maximum amount that I can borrow for my students loans. I still owe another $4,500 to my college this semester. I’m so confused. I have no clue what to do or how to go about trying to pay for my remaining amount. My mother is a single parent and our funds are low. May you please give a direction on where yo go about paying for my remaining funds? Thank you for everything! Hello, My name is Andre and I am an only child with a low income earning mother. We seem to not be able to receive any help from the military even though she is a Veteran. College is all I have right now and my college is one of the few that has the major I am interested in. I major in Business with a concentration of Audio Engineering. The amount I owe my school is $2,000. It is very difficult for my mother thats juggling all the bills we have with the low paying job she has. My name is Angela Ivey. I’m single mom and Hearing Impaired. I am looking for a grant for my daughter to attend college. She is a Senior at Henry County High School. She told me that her counselor told her that she will not be qualify for Hope Grant because of her average point is under 3.0, is that true? Please help!!! If there is other program that can help my daughter, please let me know. Hello my name is Jackie and I have been unemployed since and July of 2013, i am currently a college student and I have taken out student loans for school but I want to find another source to pay for school. I am in a Healthcare Administration progam and I would like to further my education but I need help paying for it. I can not afford topay for all of my education so I need some grants that I can possibly recieved I would appreciate someone getting back to me. you can reach me at jldancy@icloud.com. I have a bill of 3,000 at my school, I haven’t quite made the best decisions in school but I want to change it all start fresh and get on track. Is there any assistance that can help me ? (b)Accomodation 400,000 x 2 =800,000 Ug Shillings ($320 US Dollars). I don’t want to drop out of school. I have worked hard to reach this stage paying my school fees though raring of animals and growing of vegetables which I sell to pay my school fees now I feel helpless I can not raise these among through those previous activities. Pleae help me. If there is other program or persons that can help me, please let me know.I would be very grateful. mawawaigo@yahoo.com. I’m going to college for AAMA and I borrowed almost 18,000 loans up until now and it’s going to be more till I finish my associate degree. I really need help paying for my college loans because I work as a part time teacher assistant. I don’t get paid for any holidays beside one day for Christmas and one day for new year and I also don’t get paid for summer vacation . Whatever I earn isn’t enough at all because I have to support my family. My parents are unemployed. Please contact me in this email: runac2011@hotmail.com. I really need help. This is a first and hopefully a last. My name is Ramon Spicer.I’ve been attending community college for the past 2+ years now.I’m sorta a proud person and never reached out for help or other assistance, even with times such as this. I’m in a real bind and have ambitions of becoming a biochemist.sadly money is always an issue.I’ve grown up in poverty all my life struggling just to pay for basic necessities.in the process diminishing my GPA. Where i come from and grown up from there isn’t much of a way to stay in school without losing the roof over one`s head, that I’ve been fighting to keep.if there is any assistance or help please contact me and reach me. Kanito_scizor@yahoo.com. Cell 415-756-2071. Thank you. I’m going to college as a freshman right after I graduate in June. I was wondering if I can get any help finanacially. My father is in disability and my mother and I both are unemployed. I’m a current high school Senior. I am from Gary, Indiana and Currently Attending at Independence University Getting my Bachelors Degree in Computer Science. My mother is addicted to drugs for many years and father in Prison my younger brother is prison. Last I was sick and near death so I asked my father in heaven to heal my body and give me a second chance at life. So God truly blessed me to have a future. I had lot adversity in my life but I have not given up on myself I still strive improve on myself daily. Thank for your time. I am and have been a single mother for 24 years. In December of 2013 I received my GED, in March I started classes @ Ivy Tech. I would like to get back into cosmetology school. Could you please direct me to a place that maybe can help. The skies the limit!! A 22 year old malawian studying bacherol of commerce am looking for a sponsor to finish my education.am currentry failing to continue my studies bcoz my parents cannot afford the university expenses. I am a single mother for my four children aged, 16, 8,6, and 4 years old. I wish for my daughter the 16 to push through on her College taking up Nautical. She always wished to become part of the ship and see the world in that expense. I would like her to see the things she always wish for. I am all but homeless, unemployed, and I have recently lost everything due to an on going divorce. I would like to go back to school to better my life. However, I do not know where to even begin let alone, where to ask for help. Would you please help me. Hello I am trying to make an better life for my 2 kids and I so am in school full time and work 2 jobs right now but it’s too hard so am quiting one but it still was not paying all the bill where I live is an better life for my kids than how I grow up so the bill is little high I will be done with school in DecemberiI’d so way I can get help please let me know thank you for reading this my email is tonirgreer@gmail.com thank you for your time. I’m looking for grants for school to pay for my tuition and books fee, room and board. My mom is a single parent trying to take of the of the both of us on her salary which isn’t enough to pay the bills in the house we are receive living with our cousins so i can stay in high school still I graduate from school in May. I’ve been accepted to the Livingstone College in Salisbury, NC. I would be grateful for your help into paying for my college tuition. Hello I will be attending college this fall and I am in need of extra money to pay for school. I would ask for help from my mom, due to the fact she is a single parent of 9 and not working. I will be so grateful if you could help me with tuition fees. I am a first time, undergraduate. I qualified for the grants and even loans, however, I’m out of work. I apply for jobs everyday but I have no income. My problem is, my school’s financial aid office not only could never give me an amount of time my loans and grants would take but now I’m halfway into my semester and am late on rent, no money for gas to get 2 and from school and am basically high and dry. I have poor credit, no luxury of having friends or family to help with rides or money, but when I ask for help and explain my situation to my schools financial aid office I get a shrug shoulder reaction and the same 4-6 week answer every 2 weeks. Is THIS how the schools and government expect to help people actually get their education ??? It seems that the schools just want your tuition money from the grants and loans and then once they got it on the way they forget all about you and the welcome to our school attitude goes right out the window. It’s especially sad that this is how FIRST TIME students are treated as well. I’m not alone when I say Disbursement times and also the lack of respect for students needs to change because we are building from nothing while you have a job ! Hello, my name is Michelle. I have an 18 yr. old daughter who is in her first year of college. However, she has been getting loans. Needless to say I just started working 3 months ago and have no help.We are barely making it. She has had some struggles but is determined to finish college. Her father committed suicide before she graduated high school. She found him after school one day. Very strong minded young lady! Im lost and need help or some referals for grants….PLEASE!!!! Thank you! My email address is mmisterious1@gmail.com. Never done nothing like this. Hope i didn’t go too far. No need for sympathy just guidance! I an under grad student and I need to find some grants or I wont be able to continue college. My parents have bad credit so its hard to apply for loans.